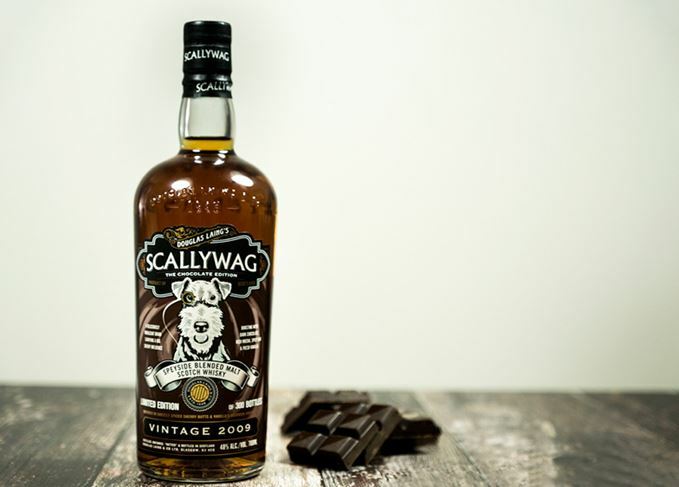 Independent bottler Douglas Laing and Co. has released Scallywag Chocolate Edition, a 2009 vintage blended malt created to mark World Chocolate Day today (7 July). Matured predominantly in Spanish oak Sherry butts, the whisky is said to possess ‘deep cocoa and red fruit’ notes and is described as a ‘mocha-rich and decadent’ spirit. The Chocolate Edition, which is bottled at 48% abv, marks the first time Douglas Laing and Co. has bottled Scallywag as a single vintage. Cara Laing, director of whisky at Douglas Laing, said: ‘The unique recipe that Fred [Laing] and I have created for our latest release combines heavily Sherried single malts exclusively from Speyside distilleries. The Chocolate Edition’s packaging continues the theme, with the label depicting the Scallywag fox terrier on a melted chocolate backdrop, while each bottle is housed in a drawstring gift bag. Only 300 individually-numbered bottles of the limited edition whisky have been produced, which will be sold exclusively at douglaslaing.com for £50 per 70cl bottle. The independent bottler has revamped its range of single cask whiskies with four new decanters. The new bottling has been created by some of Glasgow’s top bartenders and spirits experts. Douglas Laing & Co. has launched a 10-year-old version of its Highland blended malt. New Craigellachie, Bunnahabhain and Glengoyne single casks celebrate the upcoming Year of the Pig.